When I first learned how to make a picot I really disliked them because I felt like each picot I made looked different from the next, which made me wonder if I was even doing it correctly. It's also a bit of an awkward stitch that, at least for me, slows down your crocheting speed. But the stitch has grown on me. I really like the look of them and I'm a little quicker making them. So, you've probably noticed that this doily has quite a few picots. 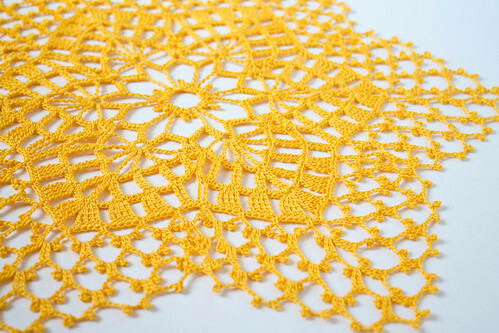 The vintage pattern is called "Picot Picot" and is from the Star Doily Book No. 151. You can download the whole ebook at www.jessica-tromp.nl. I made this one with size 10 thread and a 1.65mm hook. As I neared the end of this doily I was getting pretty sick of making picots... but I love how it turned out! So what are your feelings on picots? Love 'em, hate 'em or both? 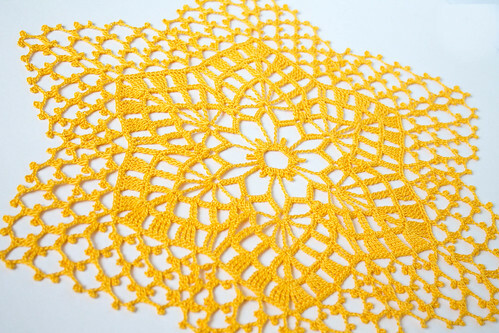 Your sunny yellow doily has turned out beautifully, Kate! It was certainly worth taking the trouble with all those picots! 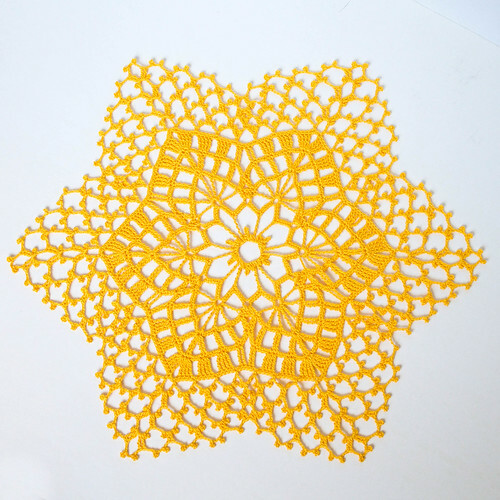 I love the centre star shape of this doily, but of course, the surrounding picots give it airiness. No, I'm not much of a picot fan, especially in cotton! I find them fiddly to do and remember the days when I used tiny crochet hooks to make cotton snowflakes. These days, the smallest hook I like to use is 2.5mm! 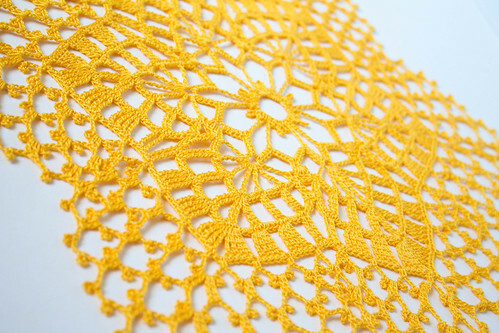 this doily is spectacular and perfect!!!! I really love the centre as Sandra, probably because I'm not a big picots fan...?????? great work!!! !